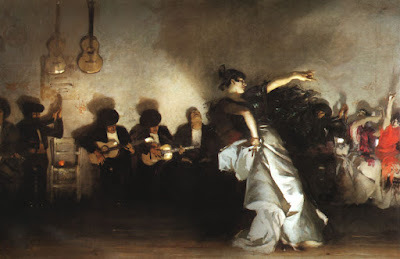 In writing a novel about John Singer Sargent, naturally one must include references to many of his paintings, and in my book, there are more than a dozen that are described at length or referred to in passing. 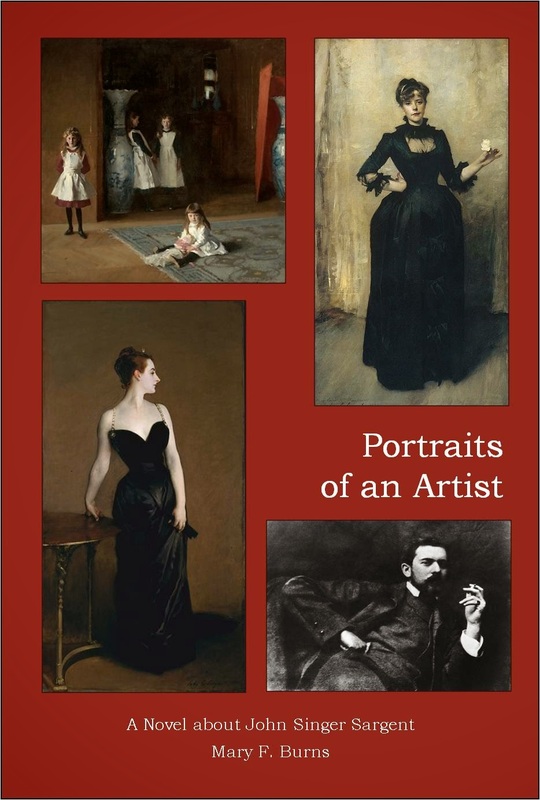 The "portraits" who tell the story are, of course, illustrated by the actual images Sargent painted of them, but I thought I would use this space to fill out the Gallery, so to speak, of the characters and persons that make up my novel. 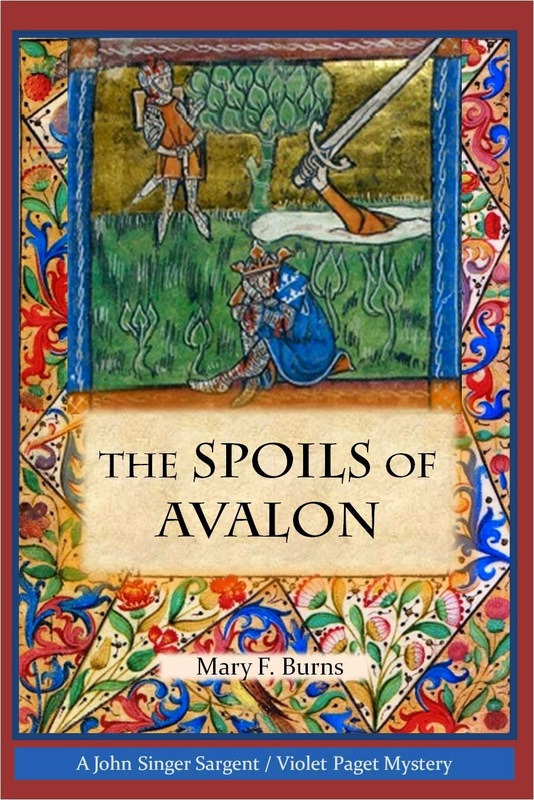 I hope you enjoy seeing them along with a quote from my novel for context (page references in parentheses) This is the first installment of probably four posts on this subject. In front of the enormous painting--it was nearly eight feet high and eleven feet long--a middle-aged, somewhat portly man, with the air of a professor or lecturer, was pointing at the canvas with no little indignation. "Is this art?" he said. "These low types of men and women, sitting in the background against a dirty wall, their mouths open, heads flung back yowling with the degraded music that, no doubt, has sent this gypsy woman into contortions that no living woman could actually replicate!" Violet...approached another canvas, somewhat obscured by a scarf thrown at hazard across it, which she drew back. 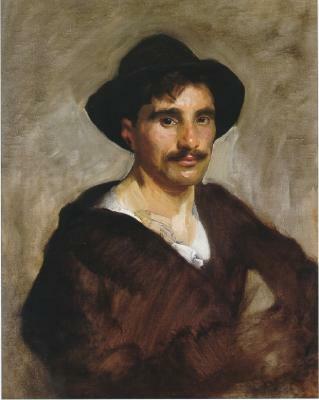 A young, mustachioed man gazed out with frank, dark eyes, his full lips sensual, the dark curls of his hair falling across his forehead from under a wide-brimmed hat. His brown coat had slipped off one shoulder slightly, revealing a strong, smooth neck and collarbone under a gauzy white collarless shirt. 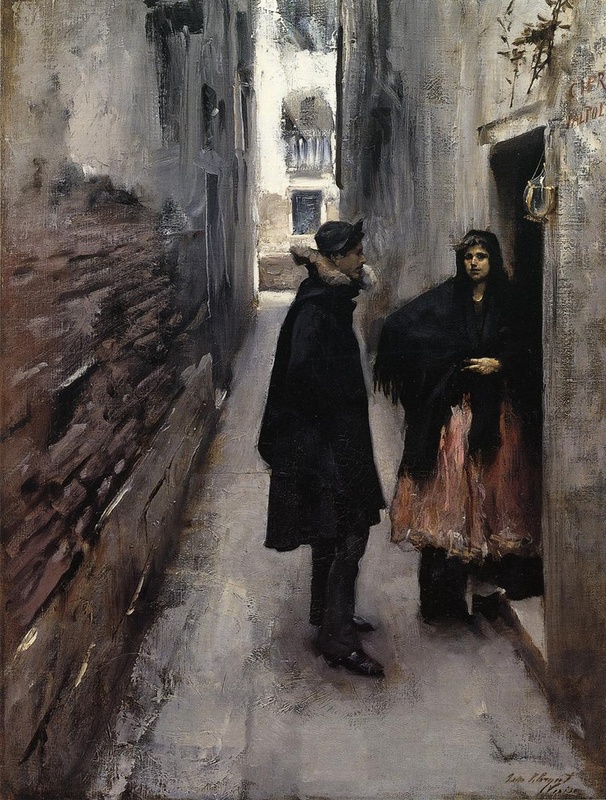 [The painting] depicted a narrow alley with crumbling, exposed brick and plaster walls--what isn't crumbling, in Venice? I thought--the perspective sharply slanted as the two walls and the pavement raced to the very center of the far back of the painting, where a reach of hazy afternoon sunlight whitened a wall with windows and trellises overflowing with plants. A dark doorway was set into the right half of the alley wall, and a woman in a black, fringed shawl and a full, frilly, pinkish lavender skirt, stood nonchalant, one arm crooked with her hand on her hip, one foot resting on the doorstep, as if hesitating at the moment of entering. 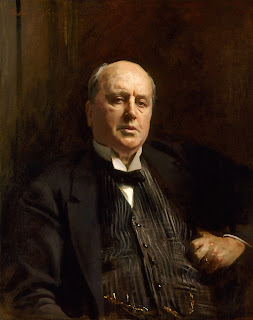 The paper I gave at the Sargentology Conference presents a brief survey, review and comment upon fictional stories and novels in which Sargent figures as a character, in either a major or minor role, including his role in my own novels. Issues discussed include: how far story-telling can outrun fact and still be plausible, interesting and even informative; what the imagination adds to our understanding of the facts of Sargent’s actual life; how an author creates the psychological “truth” of a person whose mind and thoughts cannot be known or tapped into; what human depths can be explored in regard to Sargent’s paintings and portraits by imagining the scenes or interactions that are captured in the paint. 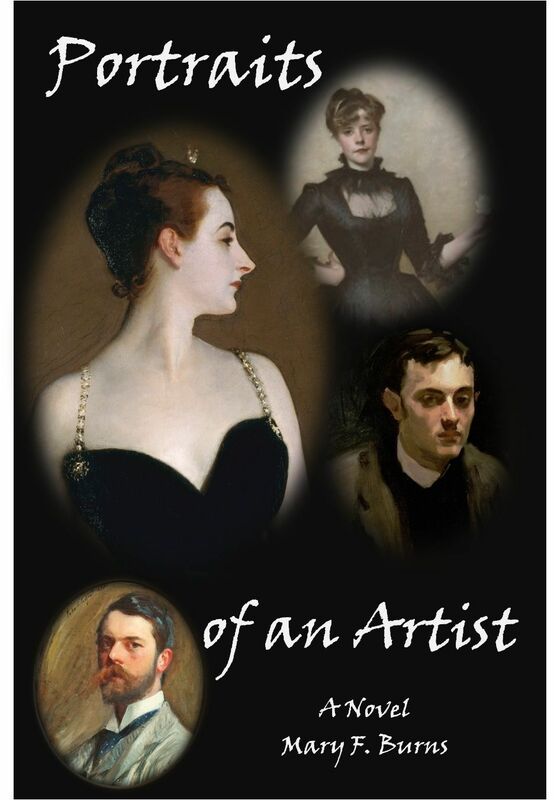 These and other questions will be addressed, using illustrations from various novels, short stories, a play, and the influence of Sargent’s paintings on the written work. If you would like to read this paper, please send me your email in a comment below and I can send you an email copy. 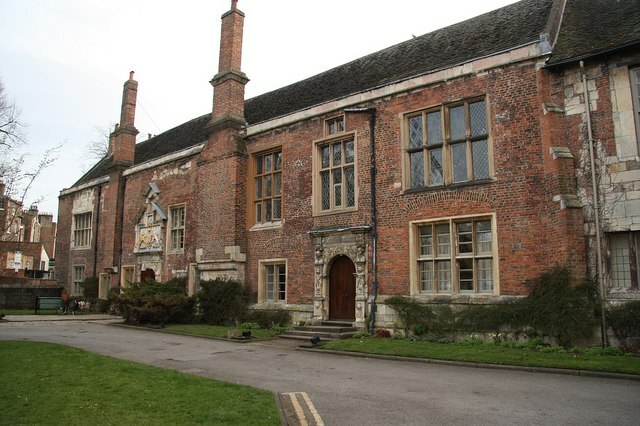 The first ever Sargentology Conference was held at the University of York, at King's Manor, (left) a centuries-old building that is used for conferences as well as for academic pursuits. Some forty attendees from universities and museums throughout Europe and North America gathered to share and discuss "new perspectives" of John Singer Sargent and his art. My talk on Sargent as a Fictional Character was part of the "Sargent and Literature" panel. There were other presentations and panels which explored his music, the way he painted, the materials available to him, and various other interesting aspects of his life and art. We all met for dinner at Gray's Court Inn (right) where we dined in style and with scintillating conversations. 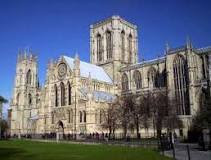 I'll write more soon about the presentations, but here for now are some photos of the wondrous, magical City of York. 900 oil paintings and 2,000 watercolours! He was a prodigious, fast and exceptionally skilled artistic genius, and over the last two decades or so, his star has been rising again -- thanks for the most part to his great-great-nephew Richard Ormond, who has been instrumental in providing the world with the Catalog Raisonne of Sargent's works. 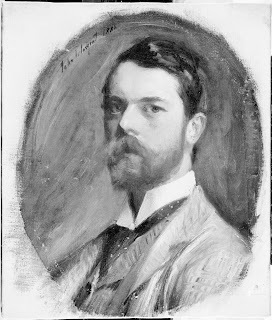 Ormond was also the leading light behind the magnificent exhibition "Sargent and His Friends" that recently showed at the NY Met Museum, and previous to that, in London at the National Gallery. 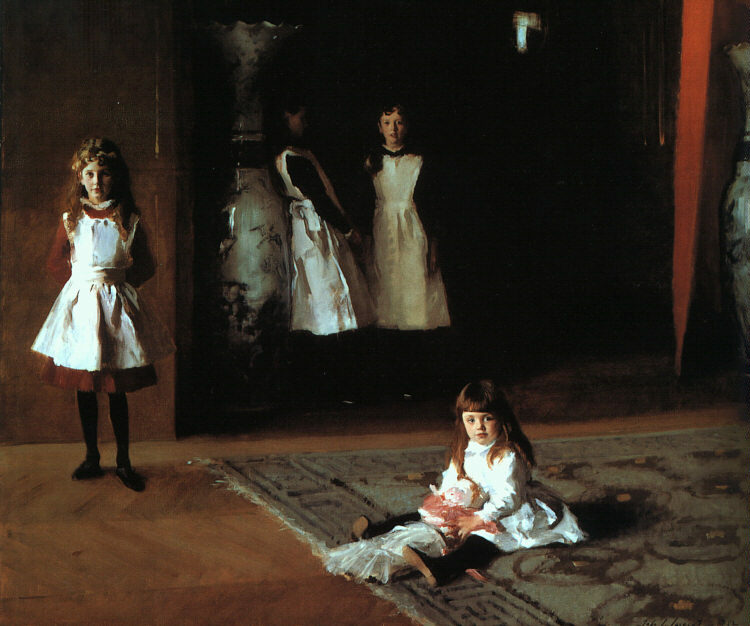 I have been in love with Sargent and his work since 1999, when I saw my first exhibition of his work at the Washington D.C. National Gallery. It was there and then that I vowed I would write a novel about this artist, and in particular, his amazing "Portraits d'Enfants", also known as the Daughters of Edward Darley Boit. Happy Birthday, John Singer Sargent! Here's a link to a video I put together of the many lovely watercolors displayed at the Boston Museum of Fine Arts exhibit of John Singer Sargent's paintings -- plus a few of his very famous portraits in oils that the MFA also has. I think you'll enjoy it!